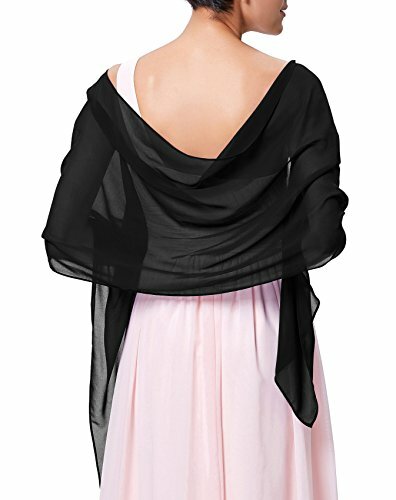 Kate Kasin Black Chiffon Bridal Evening Party Scarves Shawls KK229 | What Should I Say? 3.Fashionable and elegant scarf selections are made of chiffon. Keep warm in autumn and keep stylish during the summer. 4. Whatever problems, please let us know freely, we can solve it within 24hours. 6.Notes:The real color of the item may be slightly different from the pictures shown on website caused by many factors such as brightness of your monitor and light brightness.